"Building Momentum: Strategies and Solutions"
The BC Lung Association is holding its 7th Annual Radon Workshop on November 8, 2018 at the Element Hotel in Burnaby, BC. The objective of the workshop is to provide a platform for experts in the field to share their knowledge in addition to building collaborative partnerships to reduce radon induced lung cancer death in our province and Canada. Radon is a ubiquitous, naturally occurring radioactive gas in open atmosphere that comes from the decay of uranium, which is distributed throughout soil and rocks. Radon and its decay products are found in higher concentrations in confined space such as homes, buildings and underground workplaces. Radon is the leading cause of lung cancer for non-smokers and the second leading cause after smoking. Considering that radon is a public health problem, any action plan activities need to be managed in coordination with the different sectors in society. This workshop will present ideas, challenges and case studies from experts in the field. 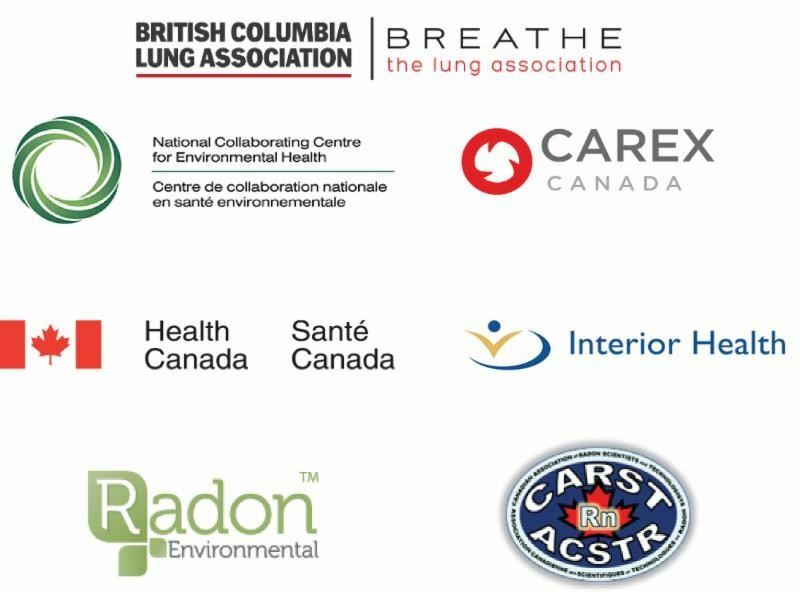 Workshop participants will be inspired and encouraged to take action in reducing the radon exposure of the BC population and associated lung cancer risk. C-NRPP Professionals can use the workshop as six (6) credits for the Professional Development Credits of their Professional Practice Credits. Considering the theme of the upcoming workshop, we are soliciting case studies for presentation and discussion in the Meet the Expert Session. As this is an interactive session, a panel of experts will weigh in on various aspects of the cases with input from the presenter and the audience. A panel will review all submissions and choose three (3) cases for a 5-minute presentation and discussion during the workshop. Any practicing certified mitigator/contractor in British Columbia is eligible to submit their case/cases. Submit your cases by filling out the form below. Deadline for submission is September 28 ,2018. Additional two (2) Professional Practice Credits will be awarded to cases chosen for presentation. Free registration and one-night hotel accommodation will be provided to the presenters. Click here to submit a case study. Join us for the pre-event meeting with a chance to network with industry professionals, exchange views and discuss challenges, as well as joining a professional development session. Open to members of the BC Radon Task Force and to certified mitigators. Limited seats available. Registration required. Click here to register for the pre-event meeting. Only 30 seats available.